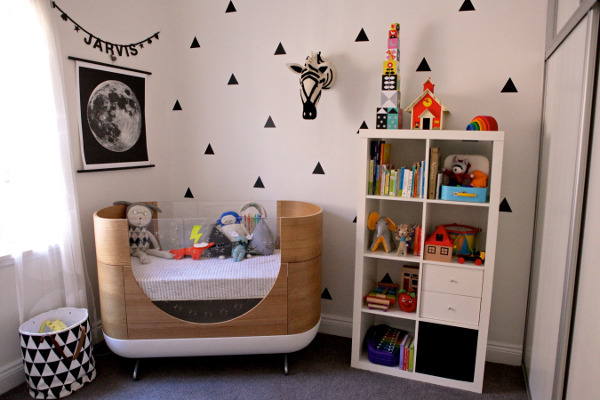 Here’s a nursery close to our hearts at Babyology – it’s the space our writer Suzi created for her gorgeous third little man Jarvis. 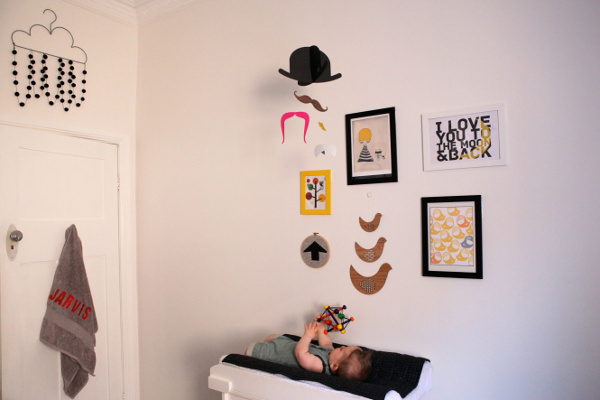 When baby number three arrived, recovering from a c-section, wrangling two other kids and their commitments and no vacant bedroom to decorate, I must admit I felt a bit overwhelmed at the thought of setting up a nursery. I had done some design boards while pregnant but had gotten no further with it. One day I saw a competition online at Nest Design Studio, run by the lovely Belinda and was most surprised when I won first prize of a room design! I felt like I had the helping hand I really needed at a crucial time. 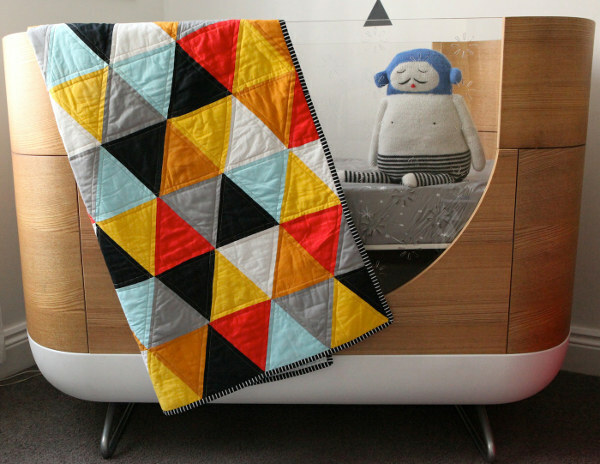 I had already ordered Jarvis’ cot, which was to underpin the whole room and Belinda was ecstatic to use it in the design. After completing some paperwork and waiting a few weeks for the design to be done, Belinda sent it through and she honestly could not have been more spot on with her assessment of my personal style. Now with a floor plan and list of items, I then set about buying those magic touches which I think really make the room what it is. 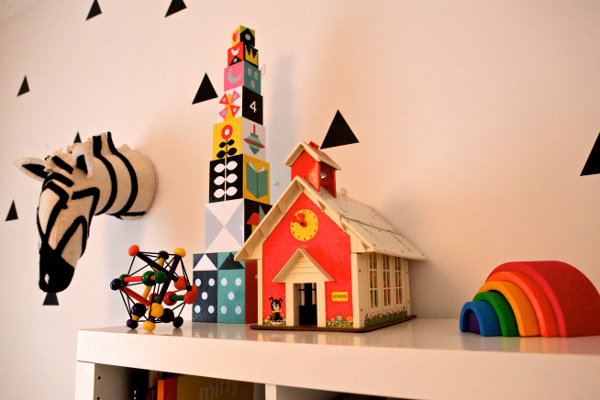 We absolutely love Jarvis’ room! So, what was on that all-important list of items? Here it is, organised into furniture, soft furnishings and decor. 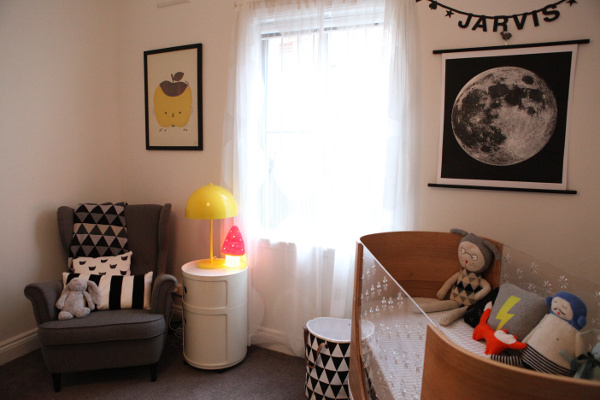 We love the space Suzi has put together, and it’s clear that Jarvis does too! What a cutie he is!